Sometimes things work better if you "do it in reverse." With appliqué, anyway. Close-up of the quilting on the Reverse Appliqué class project. 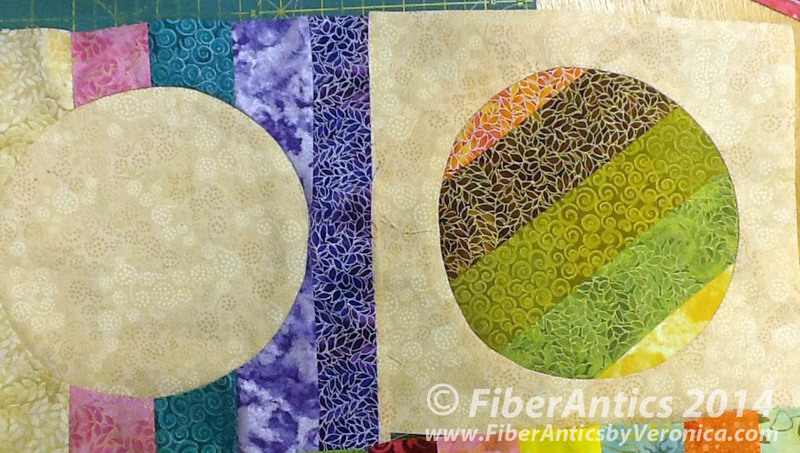 This week I rolled out a new quilting class [you saw a sneak peek of the project here] on Reverse Appliqué. Have you tried this technique? 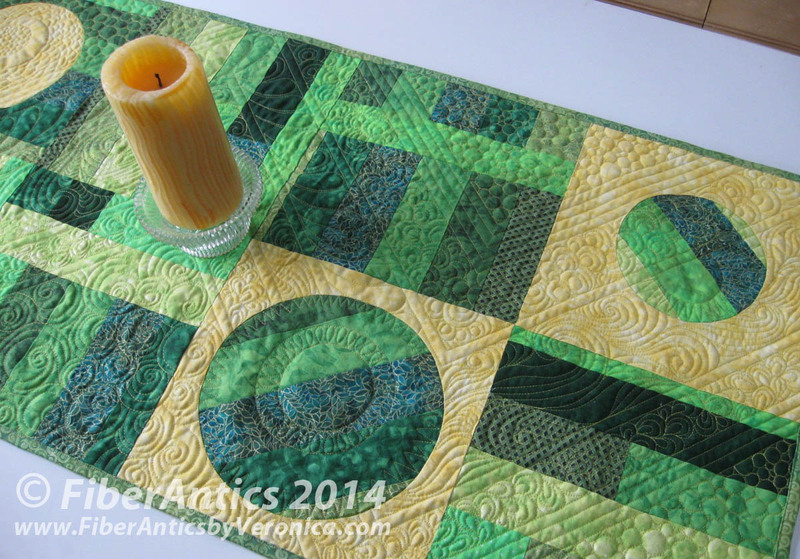 "Circle in a Square" table runner. 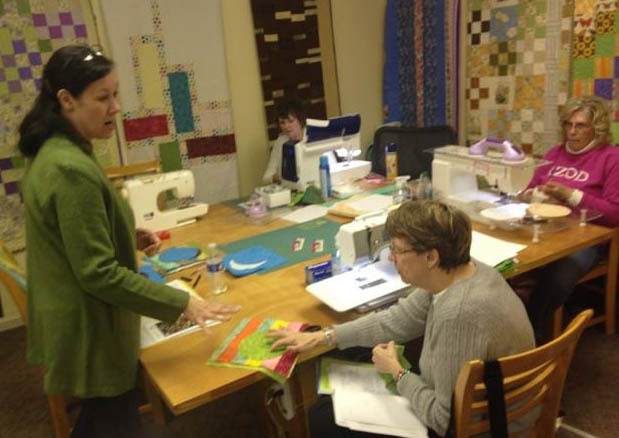 I taught "Circle in Square table runner" at Pins and Needles Quilt Shop to a crazy-fun group of quilters that call themselves "Squirrels." The Squirrels have lots of energy, are eager to learn, laugh easily and bring chocolate cookie bars to class. What more could one ask? Talking about strips sets and the reverse appliqué block. Here is Helen Marie's mix of metallic jewel tones from the Spring Bouquet strip set. 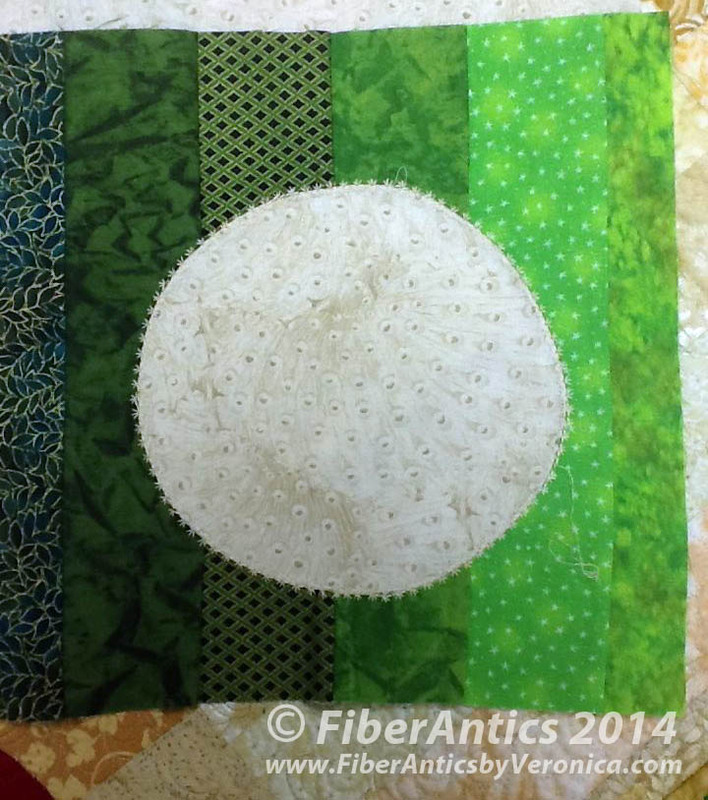 Reverse appliqué quilt blocks using Spring Bouquet strips by Blank Quilting Corp.
Linda's contrast fabric was the hunter green panel from the Radiant collection. 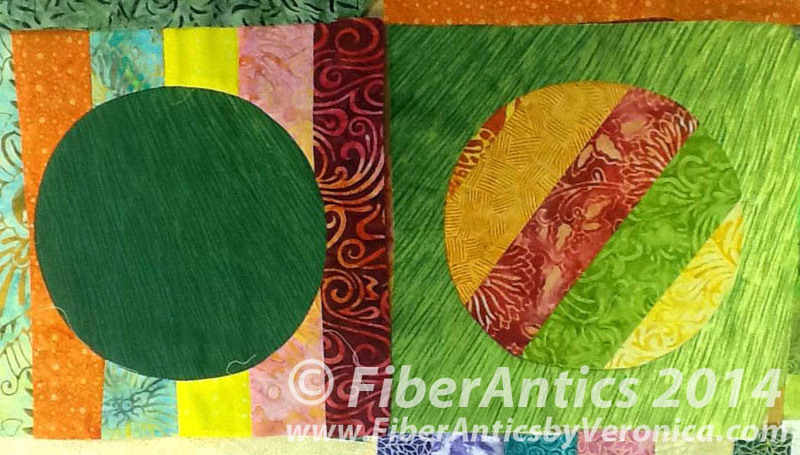 Susan embellished her block with decorative top stitching. 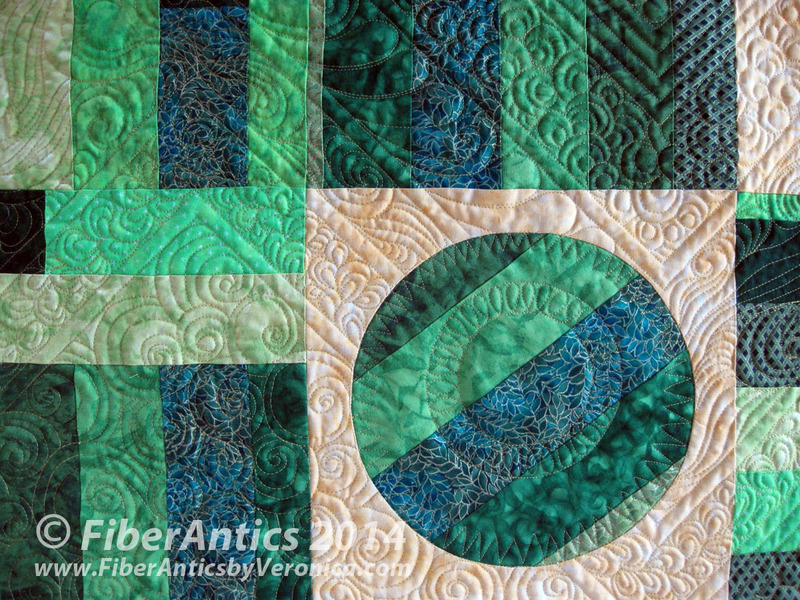 Her strip set was the green Color Story (20 strip package) from Blank Quilting. The delicate picot edge stitching mimics the tiny twinkling stars in one of the fabrics. 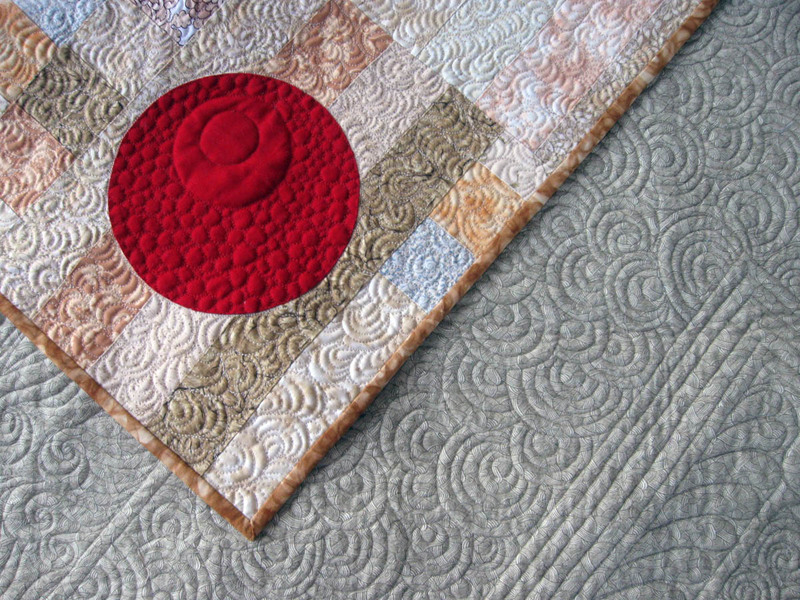 Decorative stitching enhances this quilt block. 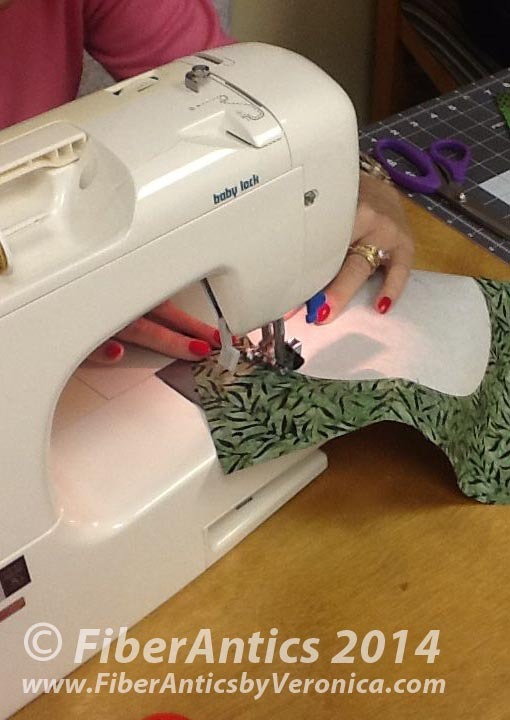 Cheryl used one of Blank Quilting's Sumatra batiks for the contrast fabric in her blocks. Preparing the block for reverse appliqué. After working though one block, the Squirrels agreed that reverse appliqué was "a cool technique!" In the class, we also discussed design possibilities for strip-piecing the blocks, block layouts, and applications for using the reverse appliqué technique. Each student completed two or three appliqué blocks for their "Circle in a Square" table runners in class, so the projects are well on their way to the finish line. 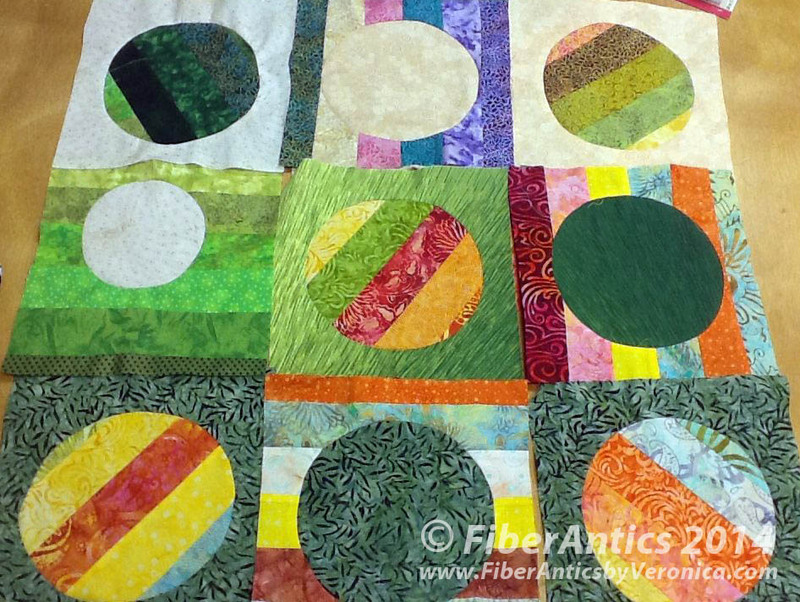 At one of the Squirrel's request, I offered ideas for quilting the table runner and used my quilt (below), a variation of the Circle in a Square pattern, as inspiration. 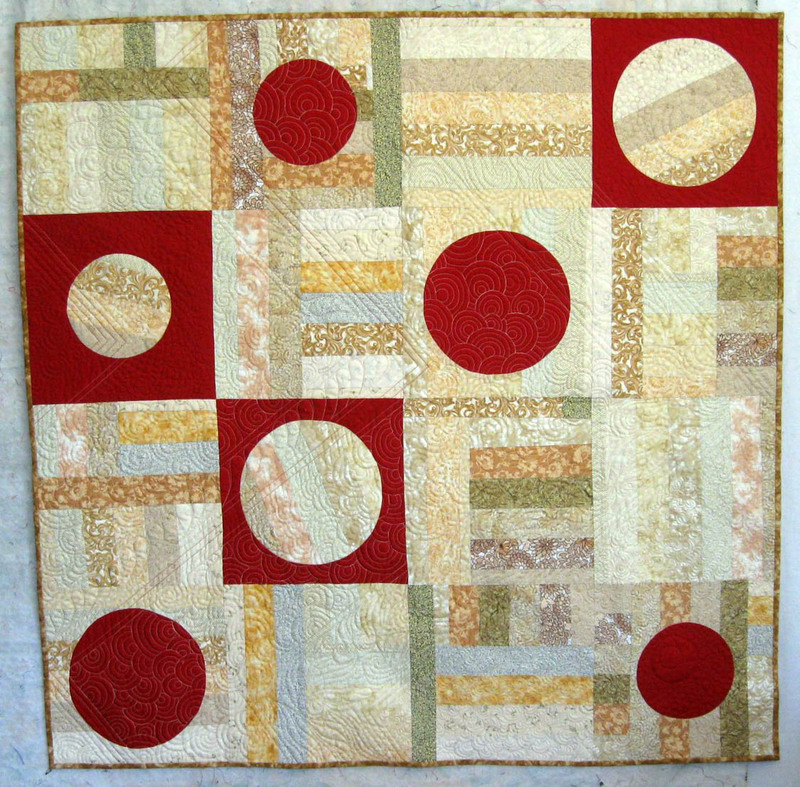 The "Pralines and Cream" Fabrications strip set [Blank Quilting Corp.] and Eclipse turkey red solid was used for this quilt. 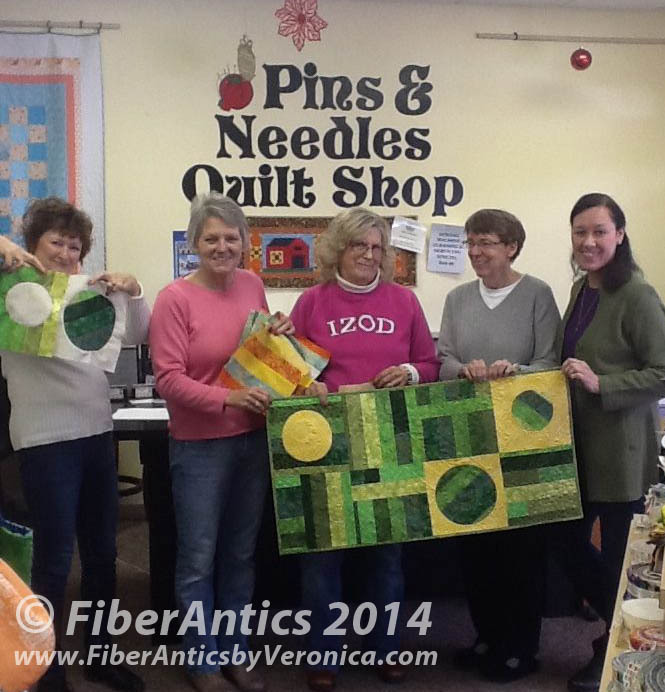 Thanks to all the Squirrels for coming out to Pins and Needles for my new Reverse Appliqué quilting class. I had a great time and hope you did, too! Helen Marie, Linda and me at Pins and Needles Quilt Shop.